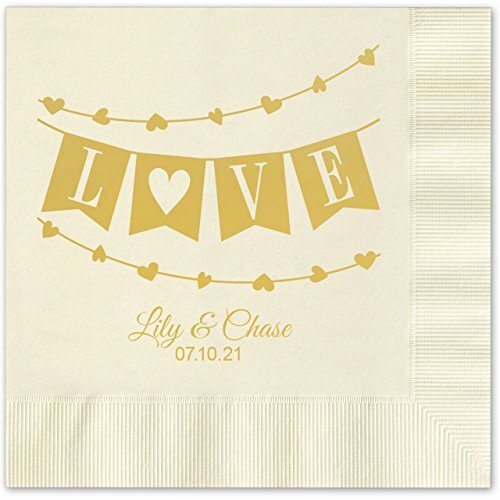 Personalized beverage napkins are custom printed in your choice of foil color. 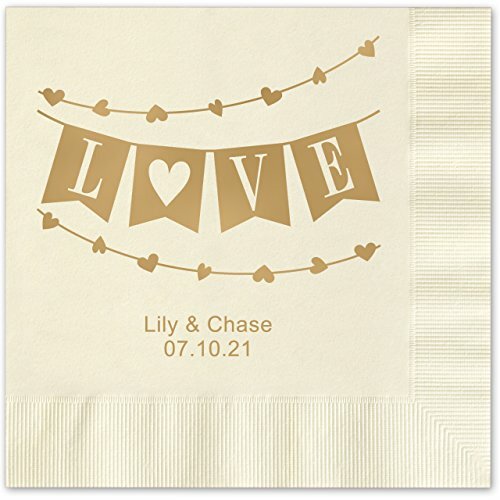 These 3-ply napkins can be personalized for a wedding reception, bridal shower, bachelorette, engagement, anniversary, baby shower, adoption, or other special occasion. Be sure to order plenty of napkins for your event - we recommend an estimate of 2 to 3 napkins per person. Celebrate your next party or event with these festive beverage napkins. Great for a party, small gathering, wedding reception, bridal shower, bachelorette, engagement party, anniversary, baby shower, adoption, or other special occasion. Shining foil imprint, in one color, adds sparkle to any occasion. Choose from: gold, silver, rose gold, black, white, red, royal blue, teal green, violet or pink. 2 lines of personalization, maximum of 25 characters per line, in your choice of font. If you have any questions about this product by Canopy Street, contact us by completing and submitting the form below. If you are looking for a specif part number, please include it with your message.